The Batman. Starring: Not this guy! 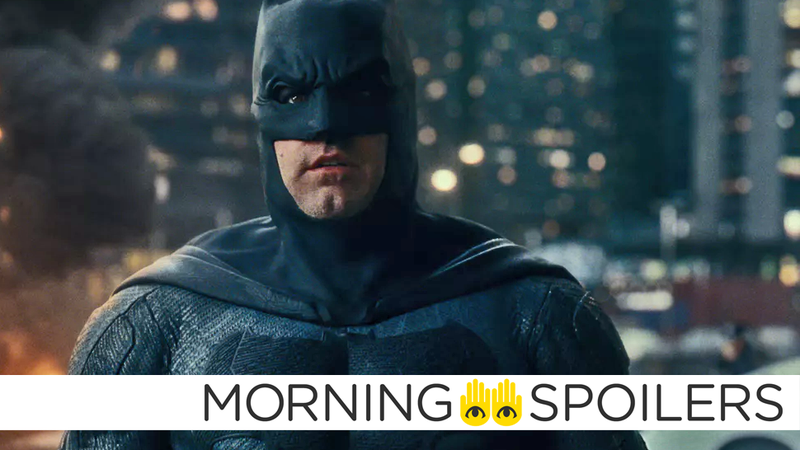 Production on Matt Reeves’ Affleck-less The Batman could begin this year. Supergirl’s surprise new addition last night will be sticking around for a while. There are yet even more murmurings about a potential Diablo TV show. Plus, get a look at Mento on Doom Patrol, and production on the Riverdale spinoff begins. Spoilers get! HN Entertainment reports the third Sherlock Holmes movie starring Robert Downey, Jr. will be set in Old West-era San Francisco. Filming is expected to begin January 2020. Trailer Track’s Anton Volkov reports the new Hellboy runs exactly two hours. A new cover from Empire Magazine celebrating Avengers: Endgame gives us a Bob Ross-esque look at Thanos’ retirement planet. Annabelle 3 is now officially titled Annabelle Comes Home according to a new teaser from Warner Bros.
Nancy finds some mysterious pink footprints in the latest clip. Bloody-Disgusting has several dozen new photos from the Pet Sematary remake. Head over there to see the rest. According to TV Line, Azie Tesfai, introduced in last night’s episode as James Olsen’s sister, Kelly, “will be a full-fledged series regular” in season five. Blizzard Entertainment has registered a “goods and services” trademark with the United States Patent and Trademark Office in regards to “downloadable films and movies featuring narratives based on” the Diablo franchise. As the Spiel Times notes, in a since-deleted Tweet from September 2018, Hellboy screenwriter Andrew Crosby revealed he was attached to write and executive produce a Diablo television series for Netflix. Production has begun on the musical Riverdale spinoff, according to Lucy Hale on Twitter. Spoiler TV has photos from the March 27 episode of The Magicians, “All That Hard, Glossy Armor.” More at the link.